Leadership is a tough road, friends. It’s scary, it’s intense, it’s pressure-filled. It’s heavy on the side of accountability, vision, loving others, being “on”. You are. We all have a sphere of influence that we’ve been given. We all lead. Every single one of my seven children from 15 months to 14 years are leaders. They all lead those around them into either greatness or into disobedience. And let me tell you, their influence is significant; able to quickly turn the tide of their siblings, of their friends, of their parents, and even their whole family. Student. Wife. Mama. Friend. Co-worker. Boss. Woman. Sister. Leader. What we do with our leadership is significant. Its influence is felt far and wide, whether we realize it or not. where we lead from makes all the difference. She is leading from something deeper and more solid than her own sense of self-preservation. 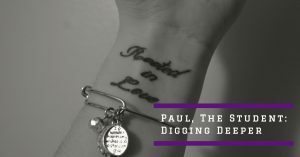 When my husband gets my text message and reads between the lines to know that something deeper is happening than the words appearing on the screen, and he chooses to lay aside his work, hang up his call, and ask what’s really going on…..he’s leading from love. When we hold our tongue to listen to others. When we choose to step into another’s shoes rather than pass judgment. When we pause to consider what it would look like to love our spouse better today. When we seek the good of another over our own convenience. When we lay aside the insistence that others fit into our parameters. We are leading from love. Leading like this is hard. Leading like this doesn’t come naturally. Leading like this, doing it well, and doing it consistently, necessitates One Thing. Sacrificing our own agenda to be led. Humbly submitting ourselves to another’s leadership. Hush. Peace. Slow. Be still. We cannot lead well if we refuse to be led. יְנַהֲלֵֽנִי׃ has the connotation of being led station by station, from one, very intentional place of rest into the next in a continuous journey of quiet water to quiet water. Wait, you might say, I don’t know about you, but my life is anything BUT quiet water. But still, His invitation remains. Whether I’m leading my toddler in a rhythmic bedtime routine, homeschooling my children, leading at church, or choosing to love my husband better, intentional rhythms are crucial. Leadership takes planning, forethought, a direction, and the discipline to follow through on those plans. Being led requires the same discipline. 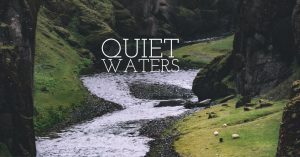 We will not have access to the quiet waters if we refuse to be intentional on allowing the Shepherd access to our hearts. Space for silence and solitude with the Savior. Allowing access. Being led. Accepting love. When we make space for quiet and time carved out to let the Savior love us with His own Word, we can lead from that love. He leads us solidly from quiet water to quiet water. The world will continue to be loud. The relationships may continue to spiral. but you will be steadfast. Held by the hand that leads you from the quiet water of Himself, the very Living Water. Oh sisters, if you knew of the sweet intimacies and depth of riches of being led from quiet water to quiet water, while being refreshed and refueled by the Living Water of Jesus Christ Himself, you would ask Him. And He would give it. And learn the rhythms of leading from His quieting love. As the young wife of an aspiring pastor, I’ve encountered many big words from my husband’s journey through seminary. Having grown up in the church, I thought that I had a firm grasp on basic theology and doctrine. 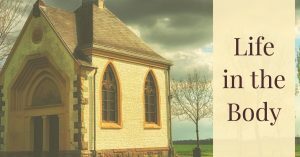 However, upon entering seminary, I suddenly began to hear my husband using words like eschatology, soteriology, antinomianism, and, my personal favorite, ecclesiology. Ecclesiology is theology as applied to the nature and structure of the Christian church. Growing up at a First Baptist Church, the way the church was structured and functioned wasn’t something I had given a lot of thought to. I knew that some of my friend’s dads were called “deacons” and they had meetings where they discussed things, but that was pretty much the extent of my thoughts about church leadership and structure. Even through my college years, I was still a church-consumer. I came, enjoyed the worship, soaked in the message, and socialized in the lobby. My husband and I were married shortly after we finished college and suddenly found ourselves on the core team of a church plant in a new city. 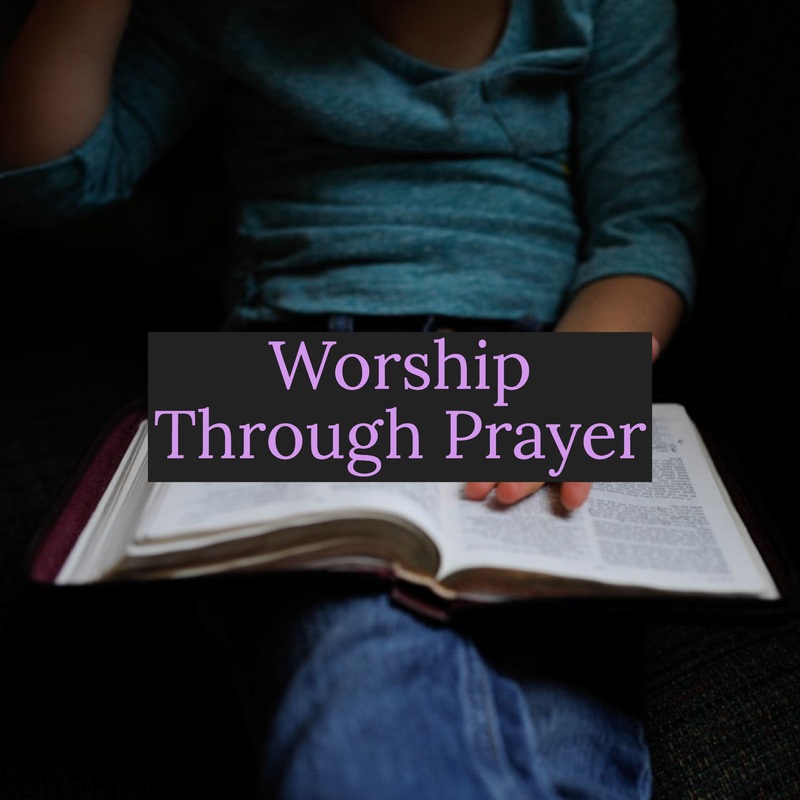 My husband would be leading worship, and I was eager to serve in any area I was needed. If you had asked me about the structure of the church at that time, I would have said that you need a pastor, a worship leader, a kids ministry, greeters, Sunday School, and an awesome youth group, complete with a hilarious youth pastor. It didn’t take me long to realize how naive I was about ecclesiology. I remember sitting in our core team meetings, discussing elders (1 Tim. 3:1-7; 5:17-25), deacons (1 Tim. 3:8-13), and how to best serve those in our congregation and the community that God was calling us to (1 Tim. 5:3-16). There wasn’t much said about Vacation Bible School. It didn’t take long for me to realize why ecclesiology is important enough to be included in the Bible. Our pastor was a godly man, but he was also a sinner. 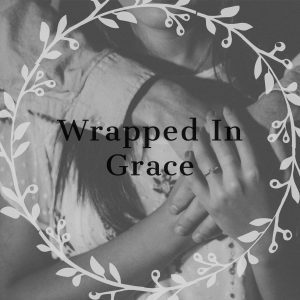 We are all flawed, selfish, and prideful, which is why we must look to the scriptures to find God’s plan for His church. Paul wrote letters full of wisdom from the Holy Spirit to Timothy on how he, as a pastor, could shepherd his people, as well as a wealth of practical application for the local church Body. Paul writes, “I hope to come to you soon, but I am writing these things to you so that, if I delay, you may know how one ought to behave in the household of God, which is the church of the living God, a pillar and buttress of the truth.” (1 Tim. 3:14-15). Timothy probably felt overwhelmed and unsure of how to dole out responsibilities among his growing congregation. 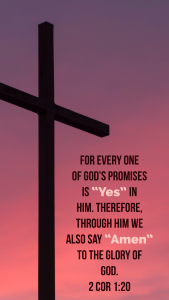 Paul, having led many churches and witnessed the challenges they faced, gave Timothy clear instructions for two offices in the church – overseers (elders) and deacons. He clearly outlined the character and integrity that would be required of such individuals. After reading these two descriptions, it can feel a little overwhelming. How can anyone match these qualities? Paul quickly reminds Timothy of his foundational truth, the mystery of godliness. Ultimately, overseers and deacons must have a firm grasp on the mystery of Christ, the Gospel, and live their lives in light of that truth. 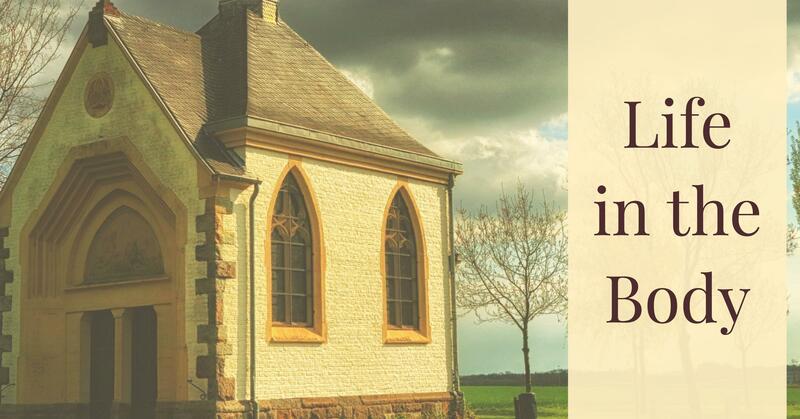 When looking for a church home, how does the leadership measure up to God’s Word? While it’s easy to point fingers, how tightly are you holding on to the gospel as you live for Jesus? For we, as Christ-followers, are all ministers of the gospel! 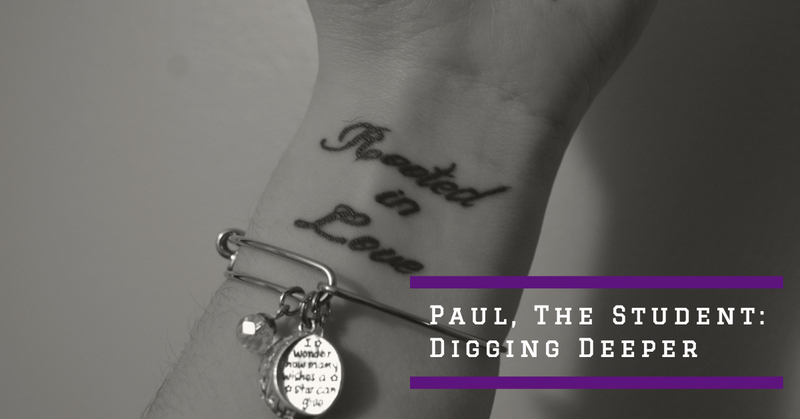 Paul goes on to address another practical issue facing the early church – widows. (1 Tim. 5:3-16). Many churches today have ministries that serve widows, but we can take a broader biblical approach. Widows were the most marginalized citizens in the early church; their futures were often uncertain and insecure. Who are the “widows” in our church and society? Let the modern church be a community that seeks to identify and serve those people, while leading them into godliness. not just the prominent leaders in our church. 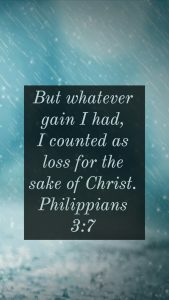 Paul goes on to encourage the believers in endurance, patience, and joy. How are a group of sinners supposed to live up to this tall order? Believers can abide in love and harmony through God alone as He joins us together in unity. Praise God it’s not up to us! We have His word and the Holy Spirit to lead us into the path He desires for His Bride, His Church! Thanks for joining us today as we journeyed into Flourishing Week One! Don’t miss out on the discussion below – we’d love to hear your thoughts!